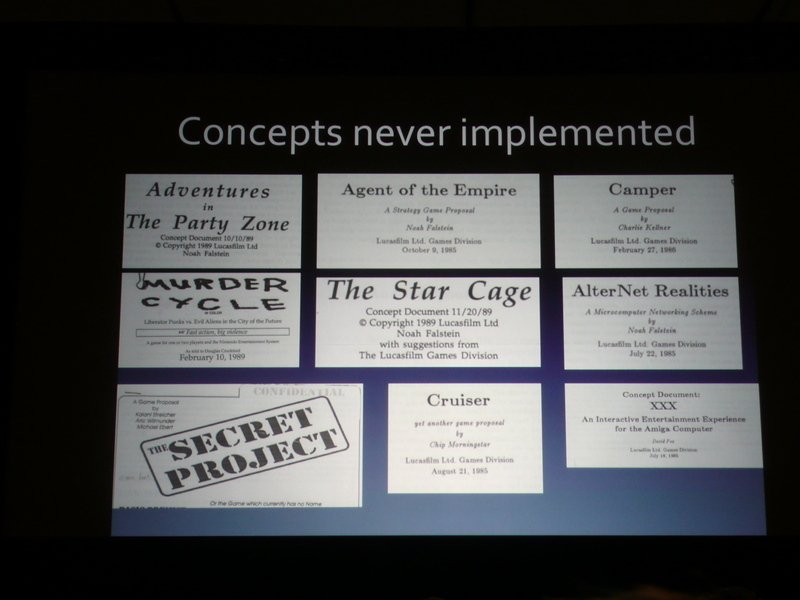 LucasFilm Games "Did It Anyway, and It Worked!" At the start of the video game industry in the early 80s, George Lucas invested in game development and let them do whatever they wanted. We hear a lot about the spirit of indie games, and how they are able to do new things in games - things we couldn't even imagine were possible. That spirit infected even some of the studios that had the financial weight of Star Wars behind them. 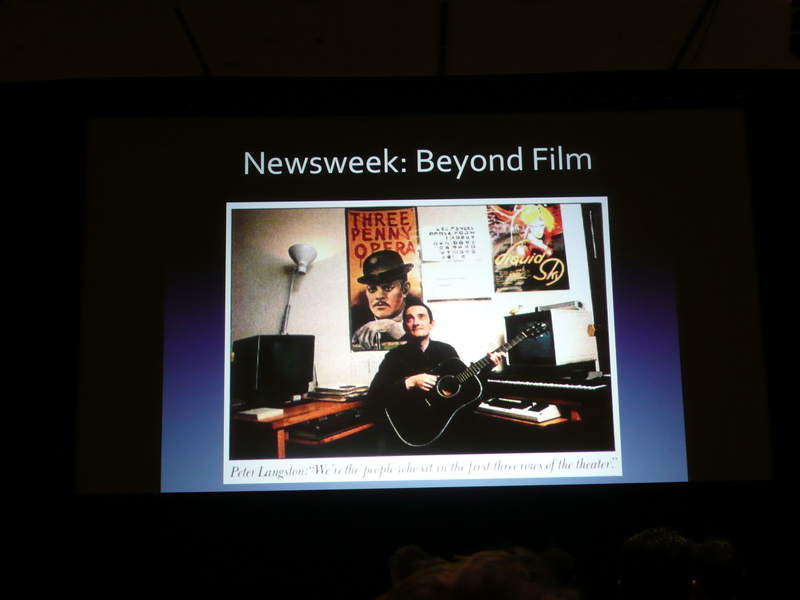 As Noah Falstein explained at the LucasFilm Games postmortem at GDC 2014, George Lucas made a lot of money on his movies and needed somewhere to invest those millions so that it wasn't just taxable income for him. 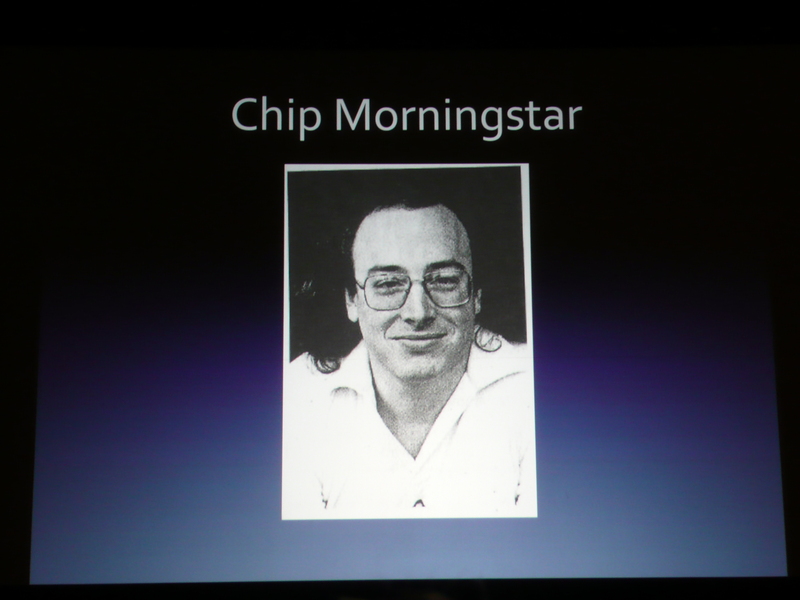 He invested heavily in computer technology for his special effect teams, but also gave a lot of leeway to the group called LucasFilm Games. 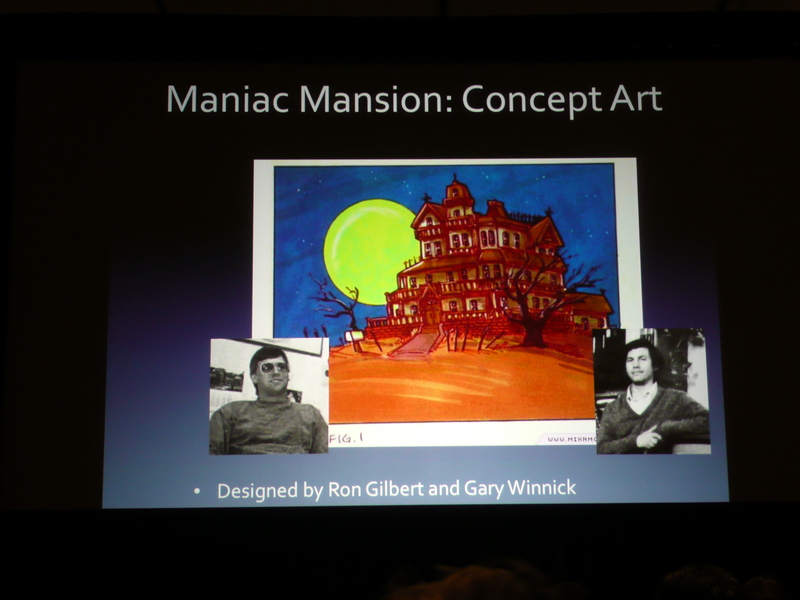 Many of the original members of the team were on the panel, as well as those who joined later like Ron Gilbert and Chip Morningstar, and they all confirmed the creative spirit was why the company's games were so memorable and influential. 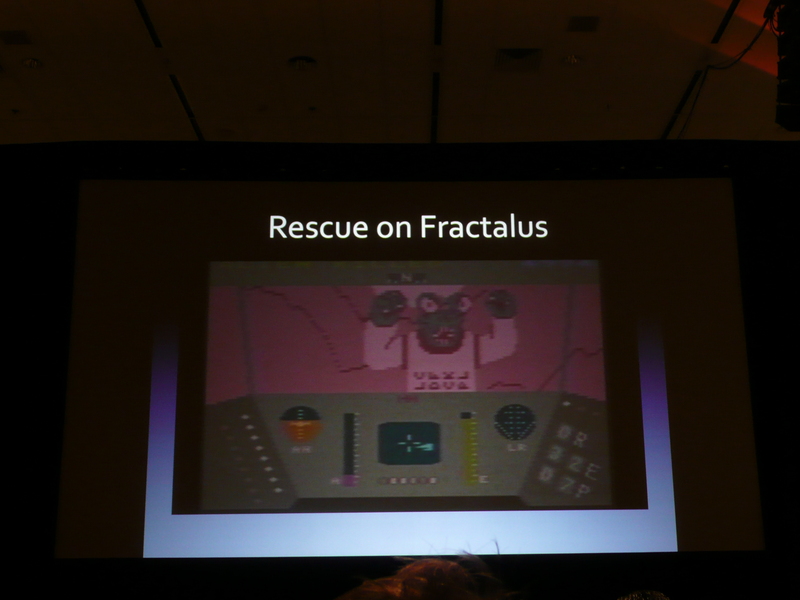 The team made games like Ballblazer and Rescue at Fractalus in part because they needed to prove the systems and tools they created worked. 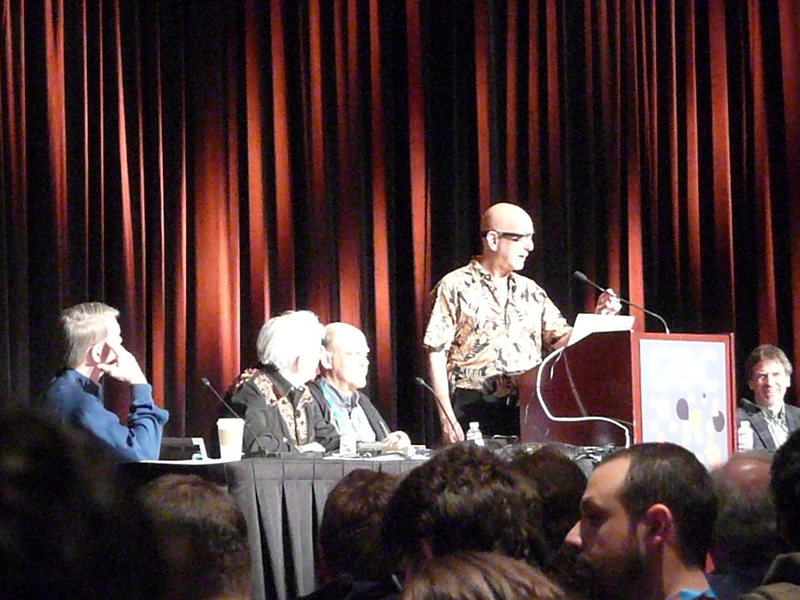 When David Fox joined the company, he was the first true game designer rather than a computer scientist. He was put in an office with Loren Carpenter, who was the guy behind the fractals in the Genesis Effect animation seen in Star Trek II. 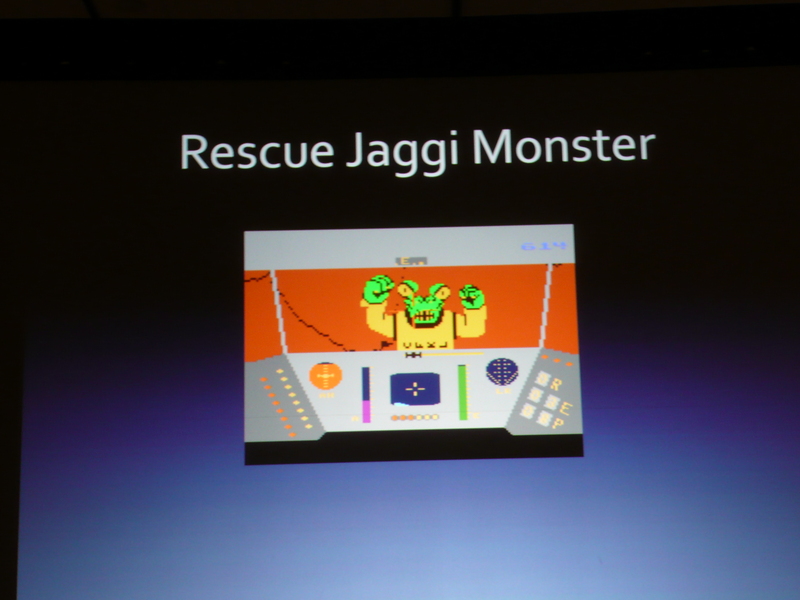 "I asked Loren 'Is there any chance we could do a fractal based game on the Atari 6502?' He laughed in my face," Fox said. But then the next day, Carpenter came in and said there might be a way he could do it. 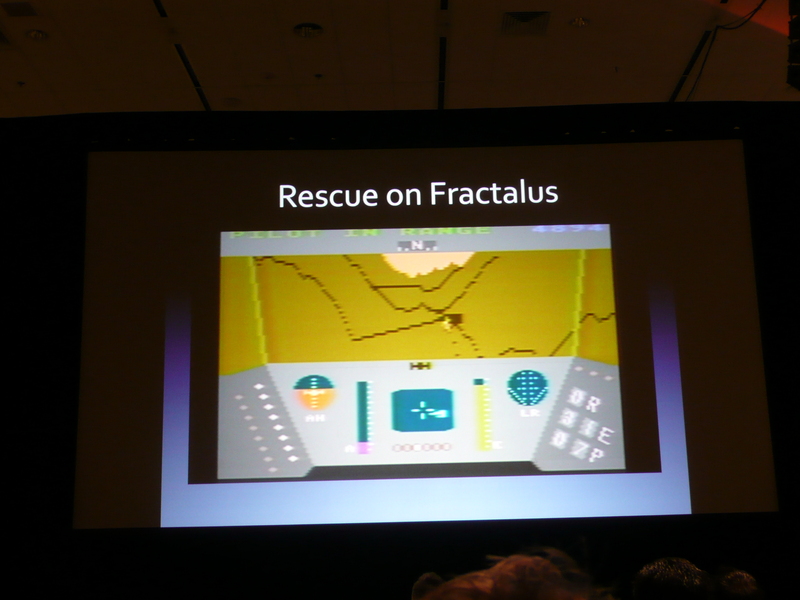 He wrote a demo in three days, proving the concept and that was the genesis of the game that would be called Rescue at Fractalus. "I wanted an environment that encouraged creativity and not marketing deadlines," said Peter Langston. Although he admitted that he sometimes had to beg for the marketing team to release their games ("That's the first time that ever happened"), the freedom allowed them to play and increase the "funativity quotient" of their games. "My goal was to manage the group as a group of peers," Langston said. 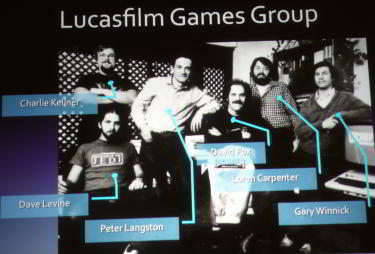 LucasFilm games ran on a flat structure, now made popular by companies like Valve. If your idea for a game got the green light, you were suddenly a project manager and not just a programmer. 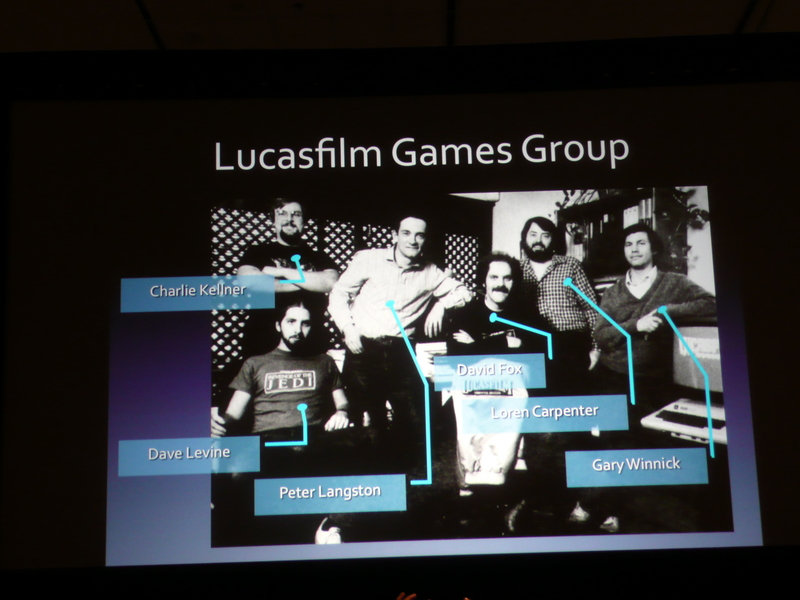 "LucasFilm Games was egalitarian," he said. 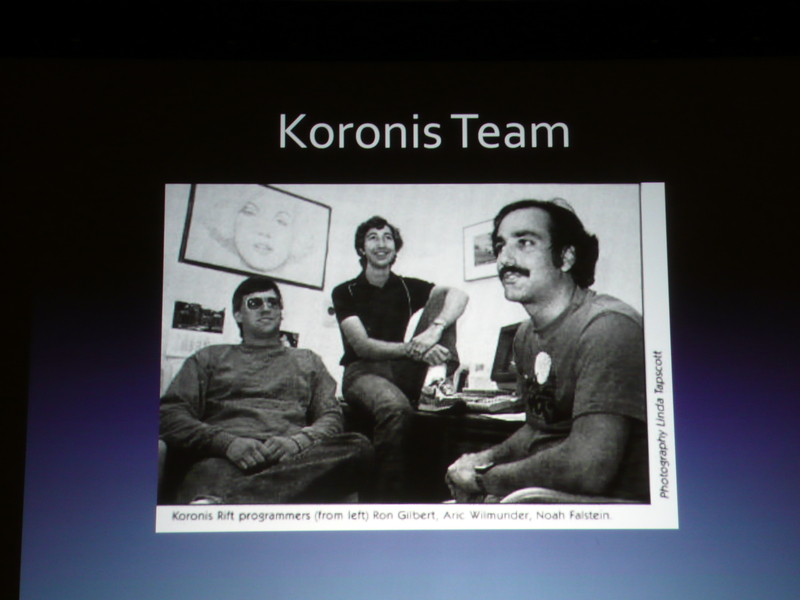 "It didn't matter if you were a designer or a programmer, everyone was entitled to contribute. Even though I was the tools guy. When this project got the green light, there I was."